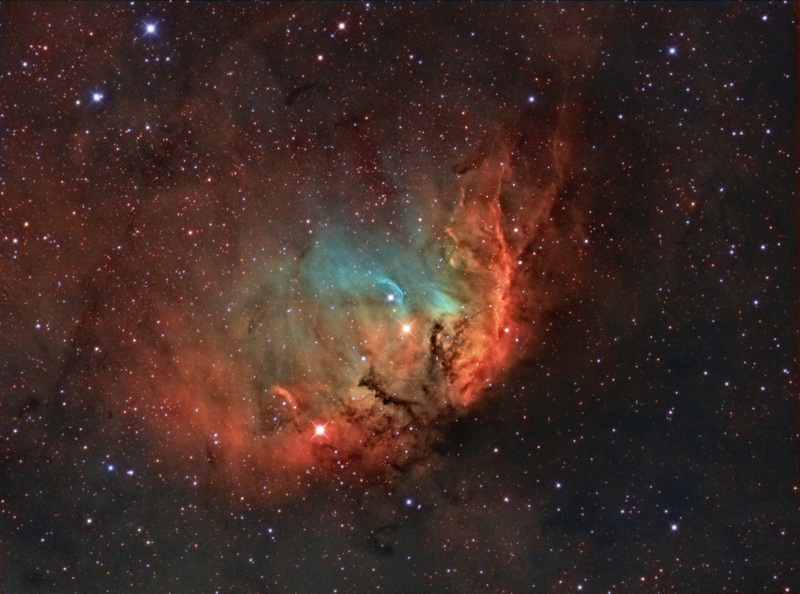 The Tulip Nebula, or Sharpless 101 (Sh2-101) or the Cygnus Star Cloud is an emission nebula located in the constellation Cygnus. It is so named because it appears to resemble the outline of a tulip when imaged photographically. 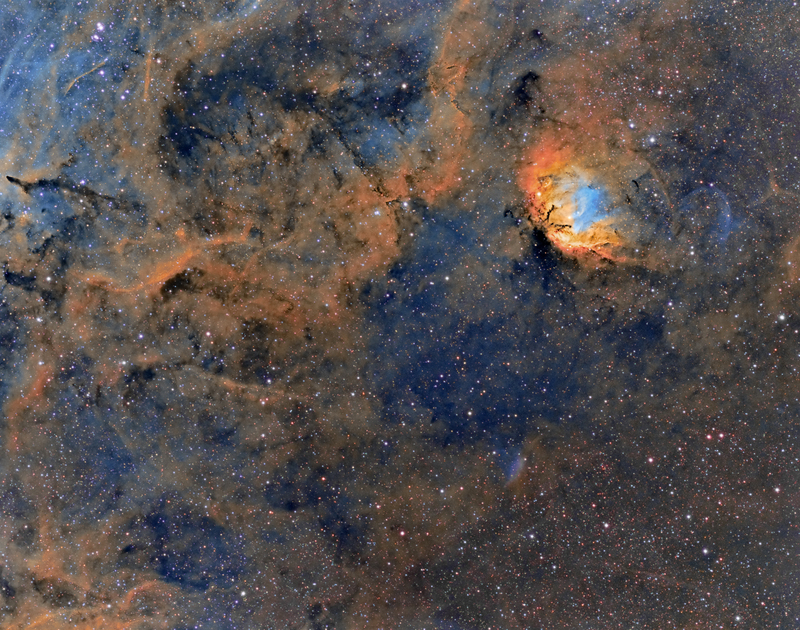 It lies at a distance of about 6,000 light-years from Earth. Cygnus X-1 star betrays the existence of the black hole because it is being whipped around an object every 5.6 days at a radius of 0.2 au. This indicates a mass of 14.6 solar masses in a compact area that can only be explained as a black hole. The black hole is also consuming the companion star. Material being siphoned off the companion star and accelerated as it whirls around the accretion disk is a source of Cyngus X-1's intense X-ray emissions characteristic of a black hole consuming matter. It can be spotted here with the loop on the right of the Tulip.